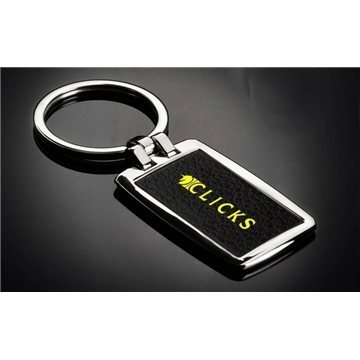 A polished metal key chain with a leatherette front and polished metal back. The service was fast and complete. They arrived on the scene far better than things I expected. I thought these were a great product and a great way to get our name out there. It was exactly what I wanted. It's very stylish and feels very sturdy. All participants at our Conference loved their gift!